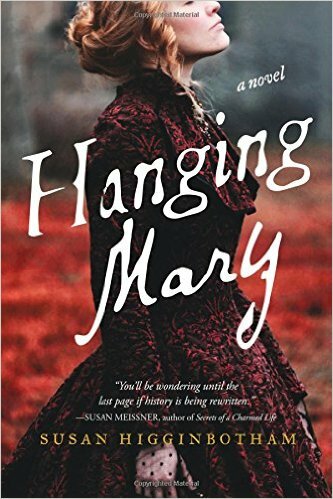 Book Corner: An interview with Susan Higginbotham – History… the interesting bits! Today, History…the Interesting Bits is delighted to be the final stop on Susan Higginbotham‘s amazing Blog Tour. 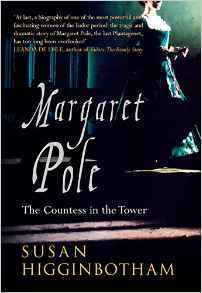 Susan’s latest book, Margaret Pole; The Countess in the Tower was released earlier this month. It tells the fascinating story of Margaret, countess of Salisbury, niece of Edward IV and Richard III and cousin of Henry VIII. The book has just arrived on my doormat, so look out for a review shortly. For now, Susan was kind enough to sit through an interview and answer my grueling (not really, I hope) questions…..
Hi Susan, thank you for joining us today – and welcome to History…the Interesting Bits. I believe you are a qualified lawyer, what made you become a writer? I actually became a lawyer late in life–I was in my thirties when I went to law school–but I’ve been writing since I was a child. I piled up a modest stack of rejected contemporary-set novels until around 2005, when I became intrigued with the history of Edward II’s reign and began to read up on the subject. This led me to his niece, Eleanor de Clare, and I decided her life would be a wonderful subject for a historical novel. I ended up self-publishing it as The Traitor’s Wife. Sourcebooks here in the United States picked it up, and I’ve been writing historical fiction for that publisher ever since. After writing historical fiction for a few years, and researching the Wars of the Roses, I became frustrated that there was no nonfiction book focusing on the Woodville family, except for a self-published book by an author who hated the whole lot of them, so I decided to write one myself. That led me into writing nonfiction for publishers in the U.K.
What made you write about Margaret Pole? What is it about her that fascinates you? It was actually my publisher that suggested her as a subject, but as I researched her story I found a number of things that intrigued me about her, one of which is the way her story straddles the transition between what we think of as “medieval” and what we think of as “Renaissance.” And her life intersects with that of larger-than-life figures such as Henry VIII, his first and second queens, and Thomas More. She survived some of the greatest events to shape English history, but eventually lost her life, how do you see her, as a victim or a heroine? I would say a heroine, because she had strong beliefs which she maintained in the face of pressure, and she conducted herself with courage and dignity throughout adversity. I don’t think she would like to be remembered as a victim. Margaret Pole’s story happens across two eras – the Wars of the Roses and the Tudors – which is your favourite period of history? You write both history and historical fiction – which is the easiest and which the most fun? Historical fiction, definitely. I research them both similarly, but the sheer mechanics in writing history–the references, the citations–is daunting. And whereas with history, we often have to say simply “we don’t know” (which readers hate to hear! ), with historical fiction we can supply an answer. Do you feel that, as a historian, you have a duty to get the history right – even in your fiction? Yes, definitely. Like it or not, many people get their history exclusively from historical fiction, and bad history has enormous staying power. What do you enjoy most about writing as a career? I love it when I’ve touched a reader’s emotions, or given a reader information that has intrigued or excited him or her. What is the worst thing about writing for a career? It’s not particularly lucrative except for a few people. Most writers have to either keep a full-time job (as I do) or rely on another source of income to pay the bills. Not very well. I work full-time during the day, so most of my writing is done at night, but it’s hard to keep myself from goofing off after a hard day’s work! Fortunately, I work at home and have flexible hours, so if I’m feeling inspired, I can drop what I’m doing on my work computer and move to my writing computer. I’m working on two at the moment–one fiction, one nonfiction. How long do you spend researching your subject before you start writing? How long does it take to do a project from start to finish? I tend to do the ground research for a couple of months, then supplement my research as I go along, since questions always arise during the writing process. It usually takes me about a year to do a project. 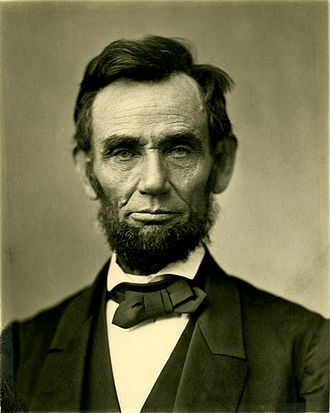 My historical hero is Abraham Lincoln, and my literary hero is Charles Dickens. Pretty much anyone I’ve written about in the medieval and Tudor eras are among my favorites. What era that you haven’t yet written about, would you like to get your teeth into? Maybe revolutionary-era France and revolutionary-era America. The latter especially has interested me more as of late, and I’m getting ready to move to a part of the country that will give me a lot more opportunities to improve my knowledge of the era. A lot of your work has been about women in history? What attracted you to writing their stories? I’ve never really made a conscious decision to focus on women instead of men, but I’m attracted to people whose stories are less well-known, and I can’t write battle scenes for squat, so I’ve gravitated more toward women’s stories over the years. I don’t get writer’s block so much as I get just plain lazy or distracted by other things. Having a deadline hanging over my head helps me to get around it. Both, really. I love connecting with people on social media, especially since it’s a chance to discuss topics I don’t get to discuss very often with people face-to-face. But it can be a tremendous distraction from the writing process. How do you pick your subjects? What is be your next project? I look for someone who intrigues me and who hasn’t been done to death–I’ve always been fascinated by Anne Boleyn, for instance, but I really can’t imagine that I would have anything to say about her that hasn’t been said already. My next fictional project will be about Mary Lincoln, wife to the President of the United States, and her half-sister Emilie Helm, married to a Confederate general. 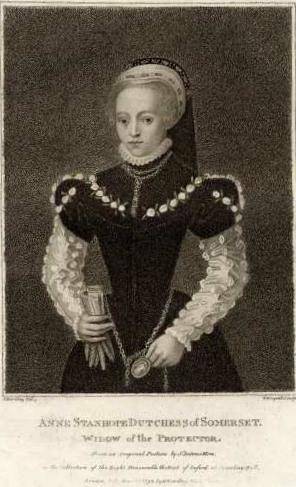 My next book for Amberley will be about Anne Seymour, Duchess of Somerset, a much-maligned lady who lived through the reigns of all of the Tudor monarchs. Thank you so much for agreeing to an interview, and for taking the time to answer my questions – I hope they weren’t too onerous. 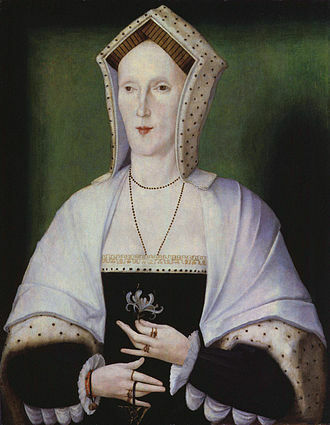 Margaret Pole; The Countess in the Tower is available from Amazon in the UK and US. Great article. It’s nice to read about the mechanics of writing both fiction and non-fiction, and also understand how, yes, bad history often does form the basis of people’s historical beliefs. I think Richard III is a prime example. Thanks for another excellent read. Pingback: Book Corner: Margaret Pole, the Countess in the Tower by Susan Higginbotham – History… the interesting bits!